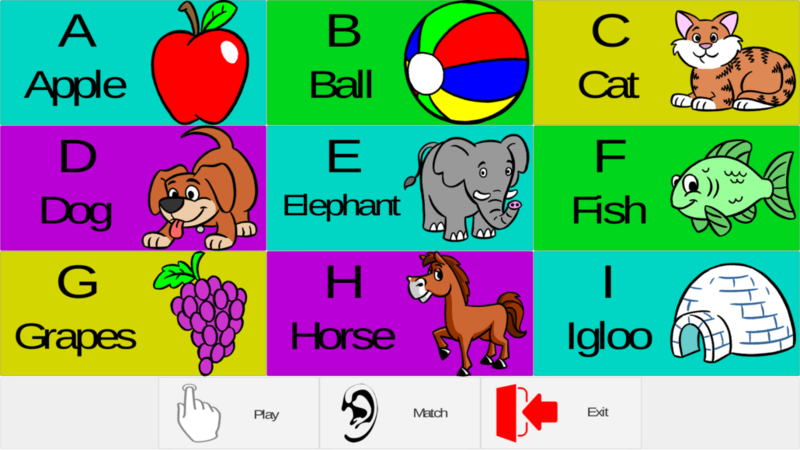 LETTERS allows your child to learn the upper case letters and objects beginning with each letter. 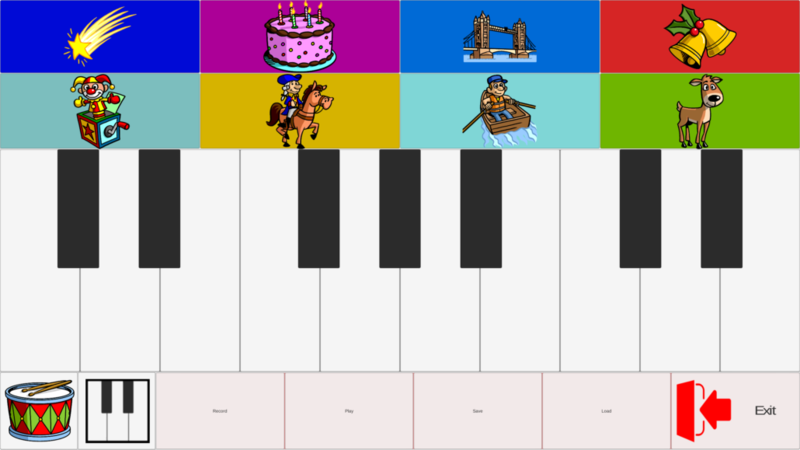 It also teaches letter location on the keyboard. 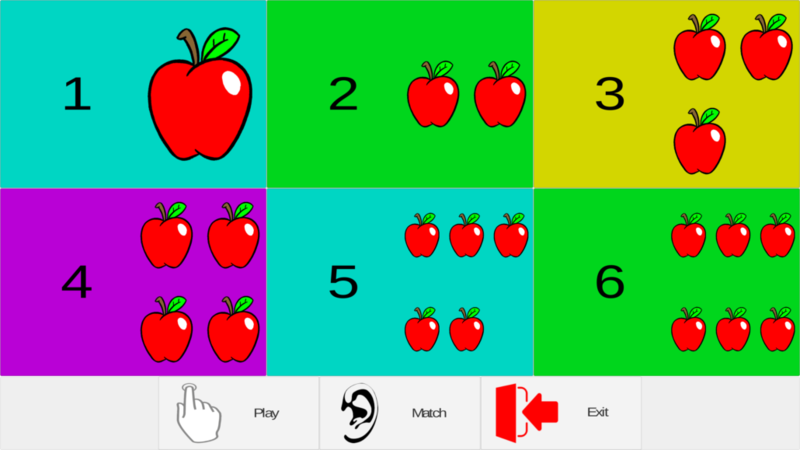 NUMBERS helps to teach the numbers from 1 to 20 (adjustable) and number-object relationships. 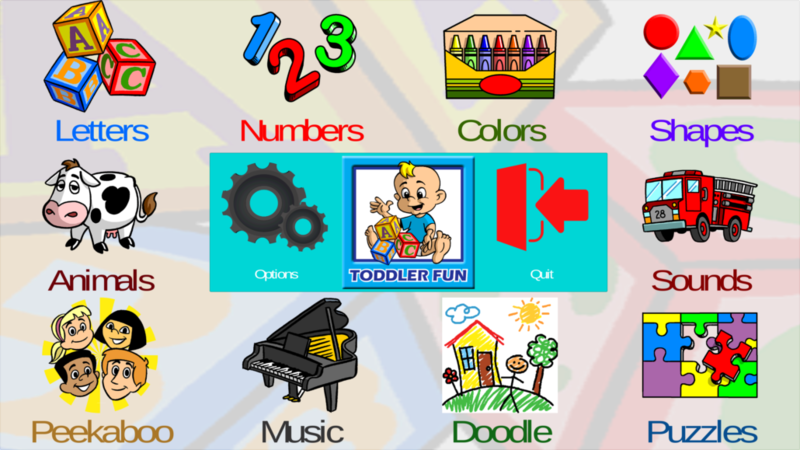 COLORS helps your child learn seven basic colors (red, blue, green, purple, white, yellow, black). SHAPES provides fun while learning seven basic shapes (square, rectangle, circle, oval, diamond, star, triangle). 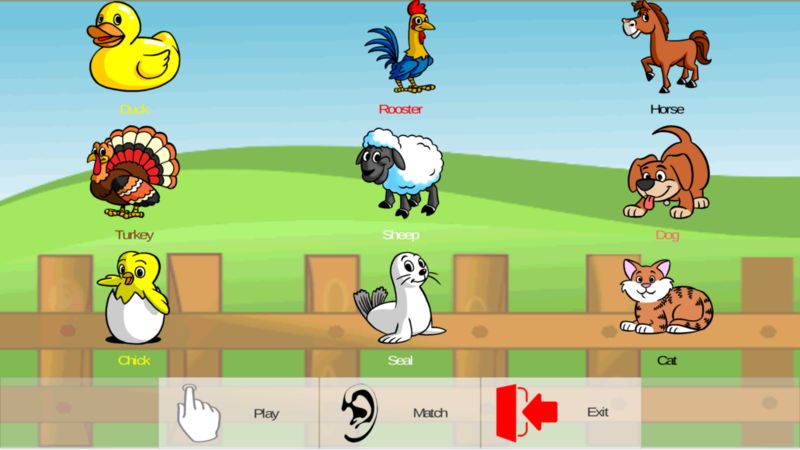 ANIMALS lets your child learn to recognize many familiar animals, their names, and the sounds they make. 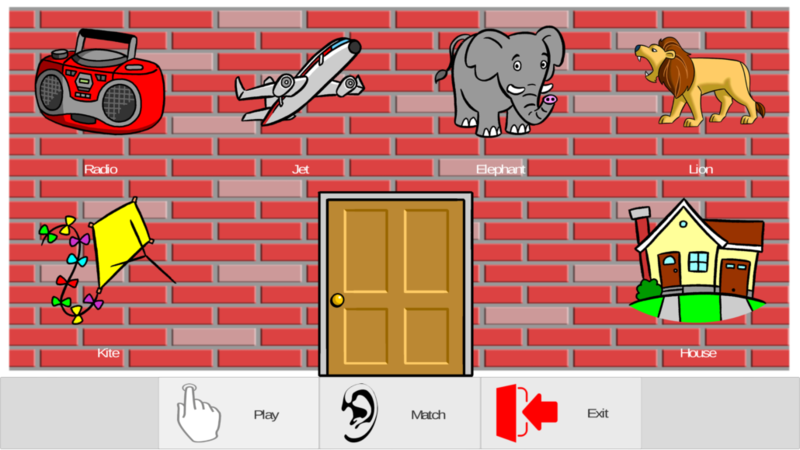 SOUNDS teaches about the sounds common items make, their names, and what they look like. 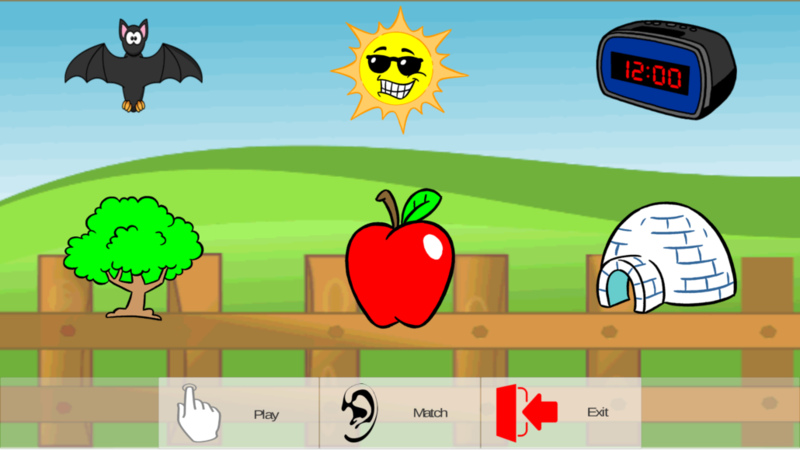 PEEK-A-BOO is a simple memory game – you can even load in scanned or digital pictures (your family members, favorite toys, pets) to personalize the game. 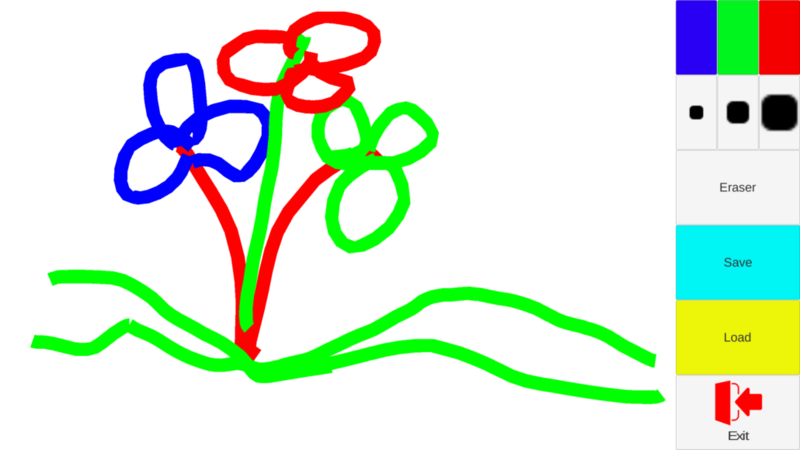 DOODLE is a fun drawing program and typing scratch pad. 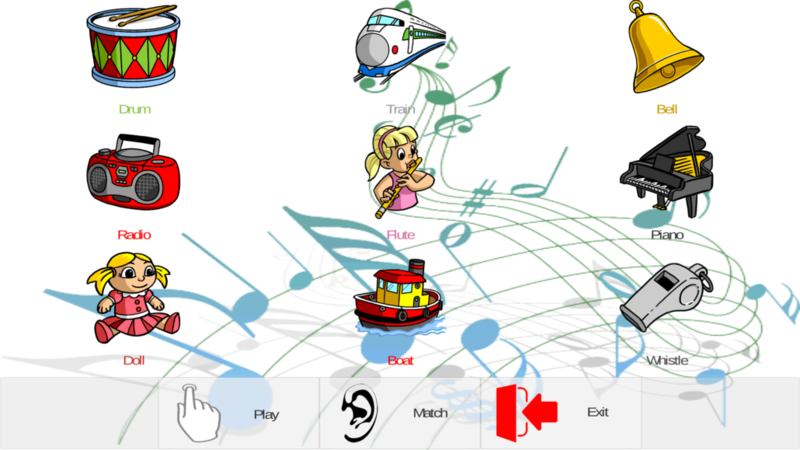 MUSIC lets you have fun with a piano, percussive sounds, and goofy sound effects – has nine built-in kid songs. 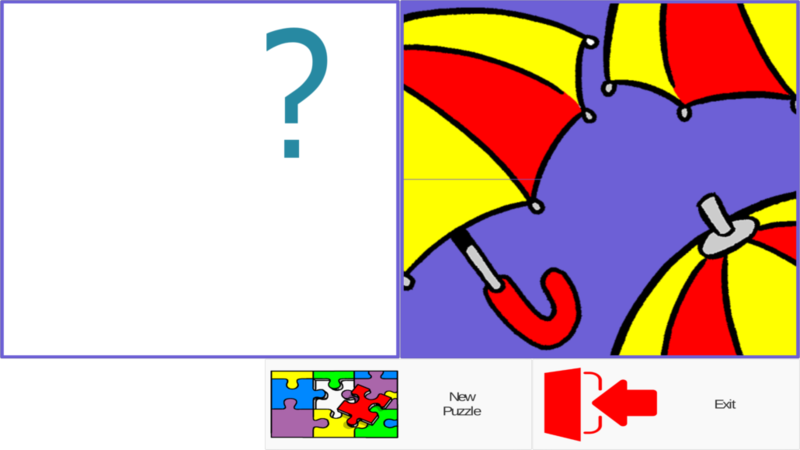 PUZZLES lets you solve simple computer jigsaw puzzles. “My son absolutely loves TODDLER FUN. He is always bothering his older sister on the computer so I was relieved to find something that he could actually play on the computer … so I REALLY appreciate it! !” – JD, Germany. “Thank you for providing such a quality product at a reasonable cost. My children, 6 and 8, love your software. ” – BH, Collinsville, Tennessee. “We have recommended your software to several people. We love it here at [our school]! ” – TS, Walhalla, South Carolina. “As a former teacher, I am very impressed with this program. It has a pleasing interface, is easy to use and understand, and has the options I look for. ” – LR, Hampshire, Great Britain. “I have downloaded several demos for my grandchildren. This [TODDLER FUN] is the first one I felt was worth keeping. ” – DH, Talbott, Tennessee.